I get my satisfaction when the tile making craftsmanship is appreciated. The Harlinger Pottery and Tile Factory was established in 1972 by Henk and Maaike Oswald. This brought new life to the centuries-long tradition of Harlinger pottery and tile production. 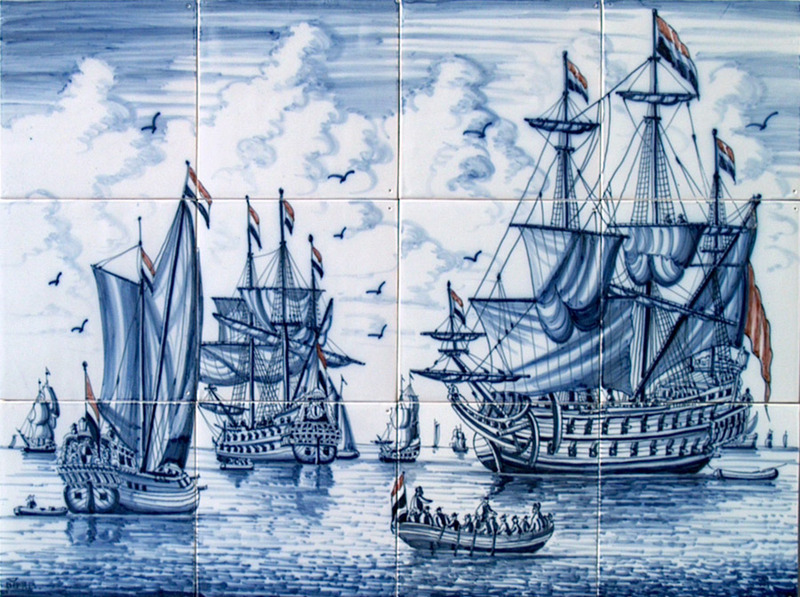 From 1598, pottery was painted and baked in Harlingen, and later Makkum and Bolsward followed. Forty years after the last factory closed, the tradition was continued by the Harlinger Pottery and Tile Factory. 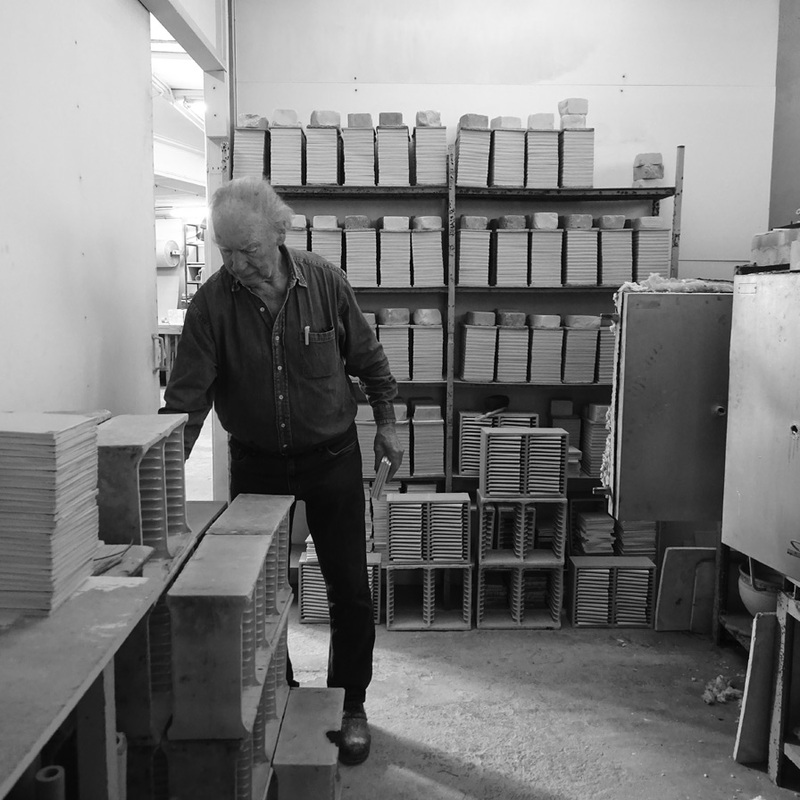 In collaboration with the ceramist Hubert de Haas, the Hannemahuis studied the historical archive material to reconstruct the historical recipe. This means there is a lot of knowledge in the field of colours and glazes The way in which the products are made is identical to that of the historical predecessors, namely 100% hand made. In 1994 Rikus Oswald, the son of Henk and Maaike, joined the company. In his youth, Rikus learned all facets of the profession of 'Majolicamaker' (the craft as it is known today) in a playful manner. His interest in this craft and his managerial view of the company almost automatically put him in the family business. "I get my satisfaction when the expertise that comes with tile making is appreciated." The Harlinger Pottery and Tile Factory produces traditional pottery and tiles in the same way as the first factory in 1598, Steffen Gunter de Olde’s ‘Gleybackery’. The discovery of the furnace foundations of this first factory, during excavations in 1987, in which dishware from the year 1614 was found, shows the early production in this port city. A special feature of this discovery was the fact that it is the oldest dated Frisian majolica. From 1598 it is known that pottery was painted and baked in Harlingen, later Makkum and Bolsward followed. The clay in the vicinity of these places was suitable for making pottery and tiles, and that happened on a large scale. 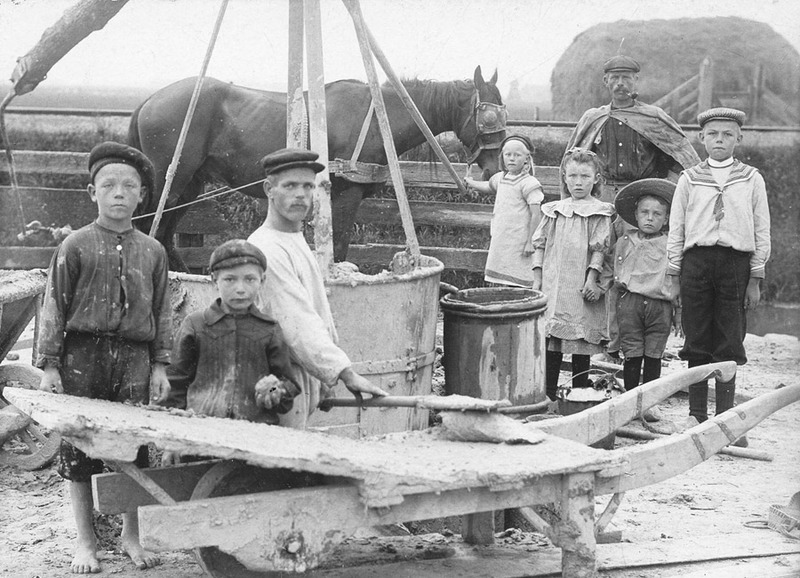 Millions of tiles and many thousands of dishes and other pottery originated in the Frisian factories. The home of the Frisian pottery industry is in Harlingen. Here, the multi-coloured majolica technique was initially used and later tin glaze pottery was also produced. The beautiful Frisian products were particularly popular in Northern Europe.